The Reserve Bank of Zimbabwe (RBZ) has paid for fuel supplies enough to cover the next two years, so there is no need for the public to panic, a Cabinet Minister revealed yesterday. 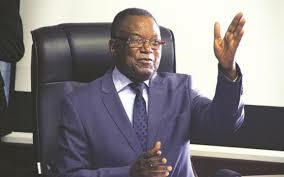 Speaking in the Senate during a Question-and-Answer session, Energy and Power Development Minister Joram Gumbo said social media reports of a pending increase in fuel prices were false. “I was invited by the President today (yesterday) to a meeting where there was the Reserve Bank of Zimbabwe governor Dr John Mangudya where I was shown several payments made by the central bank to procure fuel,” he said. “I was shown payments that would cover the next 24 months.” Minister Gumbo said the resurgence of queues was a result of panic buying and those trying to redeem their long-held coupons. Chief Nembire had asked him to explain why there was a resurgence of fuel queues. In response, Minister Gumbo said they had also directed fuel suppliers to focus more on delivering the commodity to outlying areas after it was noted that they had been neglected during violent protests that occurred last month. Transporters feared for their vehicles in the light of the violent protests. This, Minister Gumbo said, had also resulted in reduced supplies in urban areas. Minister Gumbo said some people circulated false reports through social media that the price of fuel was set to rise again, creating panic. “There has also been a demand on fuel as those with coupons tried to redeem them, particularly from Puma, after we intervened on a stand-off between the company and coupon holders after the firm said it will only provide reduced quantities on a given face value of a coupon,” said Minister Gumbo. Answering a question concerning her portfolio, Information, Publicity and Broadcasting Services Minister Monica Mutsvangwa said the Second Republic led by President Mnangagwa was committed to opening broadcasting airwaves in fulfilment of the constitutional provision of the right to access to information. Midlands Senator Morgan Komichi (MDC-Alliance) had asked when Government would license other television channels.